Updated: My Flex died less then two moths later. The unit stopped charging. 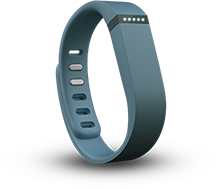 Since Fitbit’s customer service requires you to mail the old one in and wait for a new one to get mailed back, I’ll be without any of my data for the immediate future, which means I’ll have the colored bands here but no actual Fitbit. 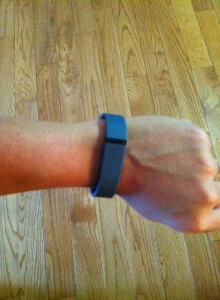 I no longer recommend this product and changed my mind in purchasing a second one for my husband. 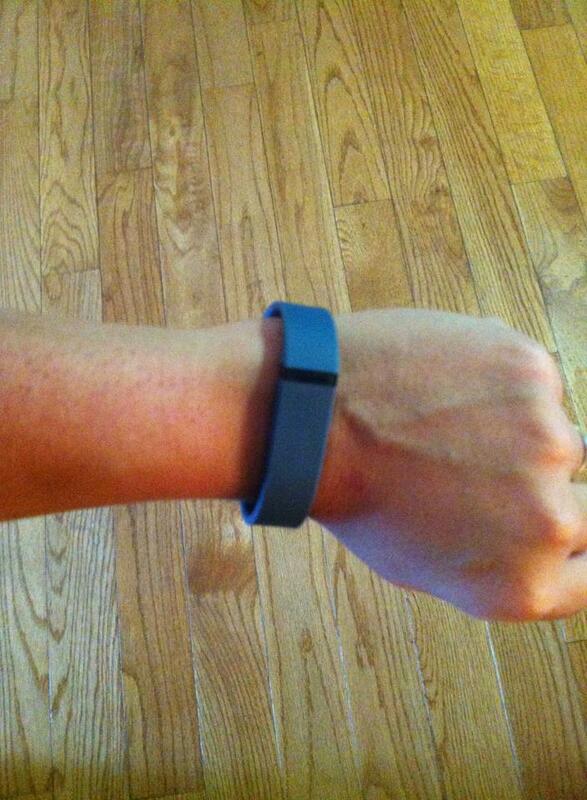 For my birthday last week (no I’m not telling my age), the girls surprised me with a Fitbit Flex. I have to say that I am already addicted to this little guy. The way the Flex works, is that you wear it all the time and it logs your steps and then at night you put it in sleep mode and you can monitor your sleep (or lack thereof if you have kids). You can also set it to do a silent alarm so you don’t wake anyone else since it just vibrates on your wrist until you wake up. The Good: I’m an iPad junkie so I monitor a lot with that and I can add in my extra activities. If you tap the Flex twice it will show you via 5 dots how far you are in your goal. My current goal is to do 4 miles a day with a step goal of 10,000. Say I’m doing a Yoga class or something with not a lot of steps, I can log that in the app and it adjusts my active minutes and how many calories I’ve burned. However, since it doesn’t do a step value, I find myself pushing harder so I can make my daily goal. When you hit your goal, the Flex buzzes which the first couple of times scared the crackers out of me since I forgot I was wearing it. Accuracy is about on tap with my iPod Nano on the watch strap with the Nike app. If anything the Flex logs low since I do a lot of cross training but that is good for me because I find myself upping the ante so to speak. You can change the sensitivity on it, but I prefer getting a lower count then a higher one. The battery life seems good, I charge it whenever it gets a little low usually or when I need to air it out. The alarm is AWESOME and I love love love that function. I log my sleep and have figured out that I clearly need a new mattress or to not have 2 kids crashing in bed every night. The Not So Good: The web app dashboard is kind of meh and since I have an iPhone 4 with no compatibility, I’m pretty much using it on my iPad which seems to have more options to it then the web app, I wish the iPad app was bigger though, it seems sized for mobile. The dongle that was included with synch up my data on my laptop pretty easily, it is just the interface that seems to been lacking a bit in functionality. The Flex is supposed to be worn all the time and in the shower as well since it is water resistant, but I take it out to air out whenever I run since moisture collects in the little window. Q tips work great for getting all the damp out of the little crevices. Sadly, all the fun colors they show in ads for the additional bands are currently on backorder. I have an estimated wait of 8-10 weeks before my Flex has some new outfits. Dammit, I want to accessorize already. All in all though, I definitely recommend the Flex and I love mine.